The so-called Video Competition Act that was passed by Wisconsin legislators earlier this year set a three year sunset on the PEG funding that comes from Charter Cable, that is, the money that makes cable access stations like WYOU possible. Without PEG funding, WYOU will have a very difficult time surviving. Read the recent Wisconsin State Journal article for more info. 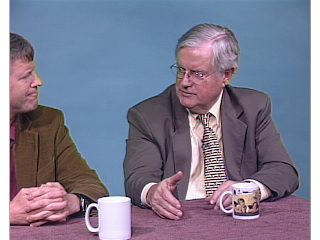 On the Earth Productions is pioneering an open forum with their show, Advancing the Cause, recorded at the WYOU Community Television, Inc. studios. 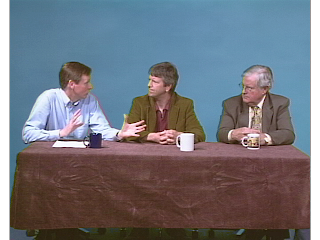 The first program included host Todd Alan Price, professor at National-Louis University interviewing Mike McCabe, Director of the Wisconsin Democracy Campaign and Attorney Ed Garvey, Editor of Fighting Bob. 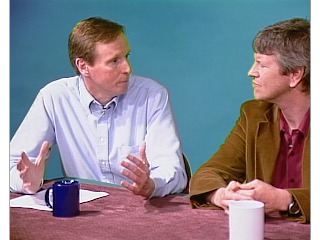 This first program concerned the ongoing challenge of campaign finance reform. Karen Rybold-Chin produced the program and WYOU tech Eric Allin offered technical assistance. THE ON-AIR FILM FEST: Volunteers Needed! Help us break new ground and volunteer with our 1st On-Air Film Fest! a full size screening of winners at a local theater. Just come on down and attend Film Fest meetings in May! It will be the volunteers who make this a great success!